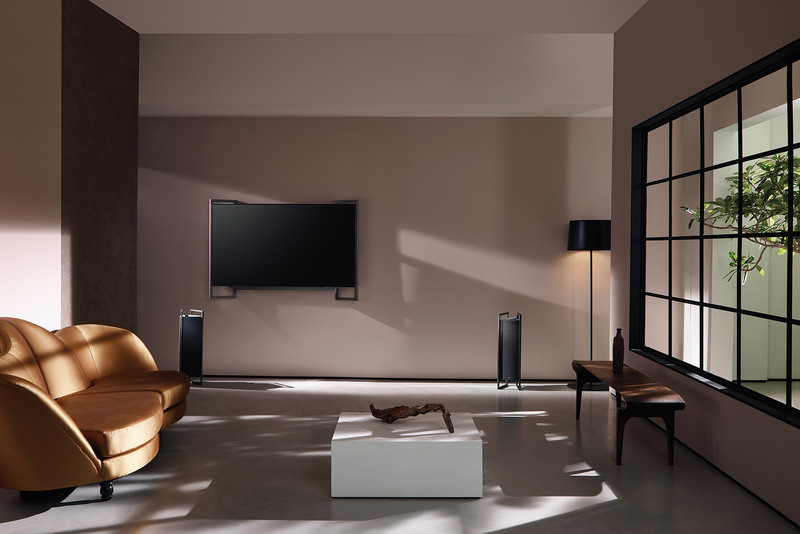 Working with Studio Small, photographer Jake Curtis and stylist Hana Al-Sayed, we devised and delivered a campaign for the global launch of the bild 9 television and klang 9 speakers. 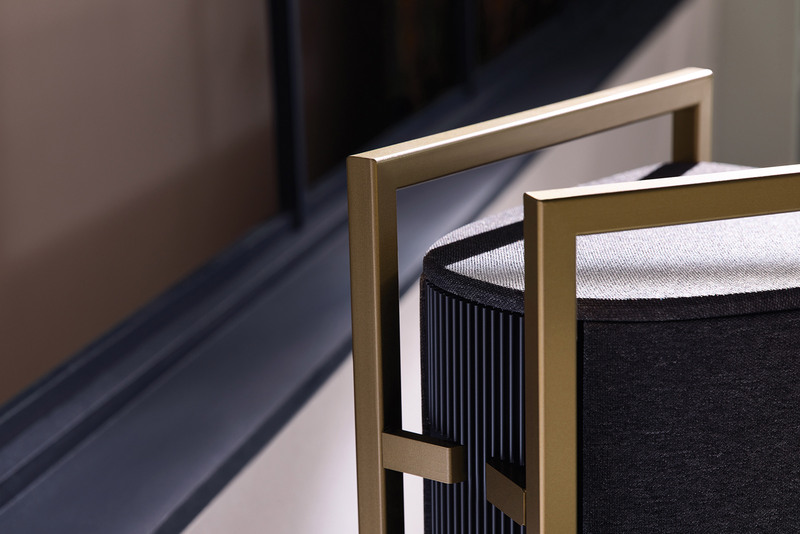 The set was designed to echo the line sculpture and constructivism that inspired the designs, using a strong play of light and shadow to draw attention to the signature silhouette of the collection. 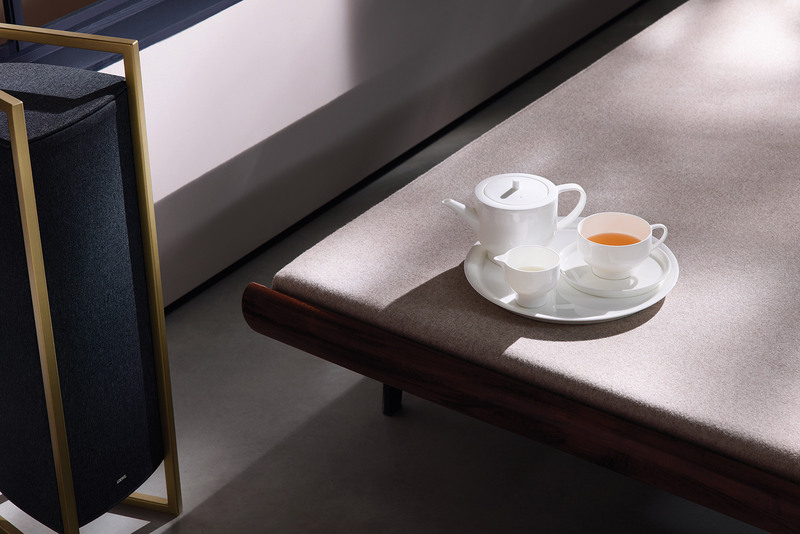 Situating the products in this minimalist interior also emphasises the design intention; it signals a shift in Loewe's portfolio towards pieces that visually embellish a space, much like art or furniture. 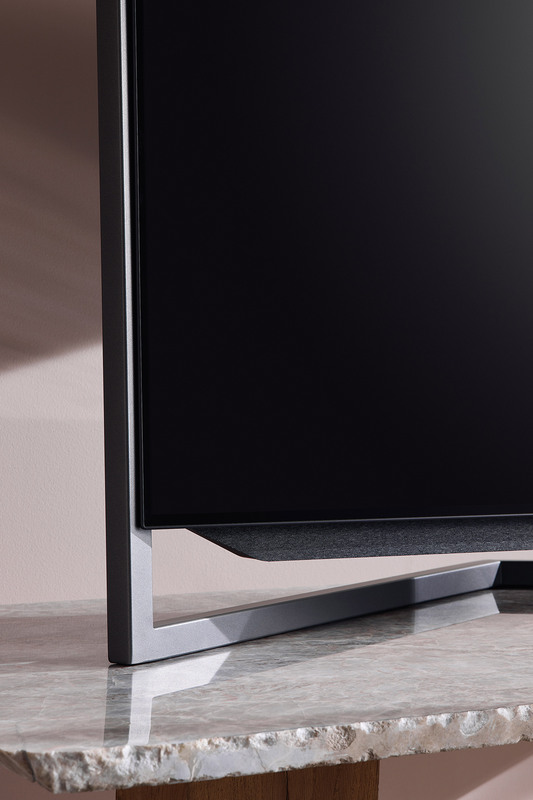 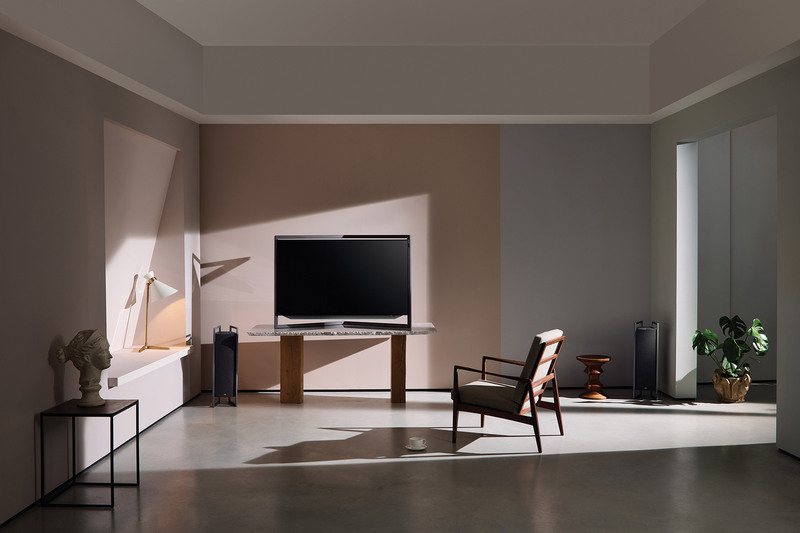 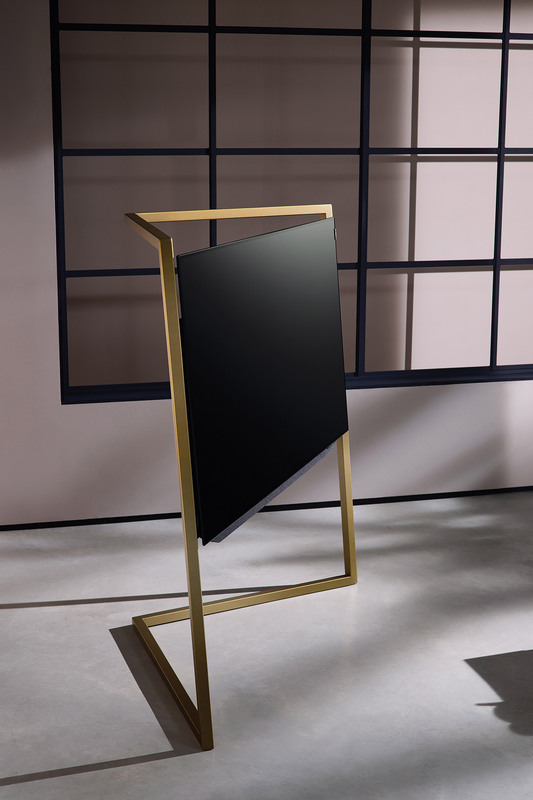 The campaign aimed to soften the often ultra masculine aesthetic of home electronics marketing, building upon the theme of 'warm minimalism' that Bodo introduced to the Loewe brand language. 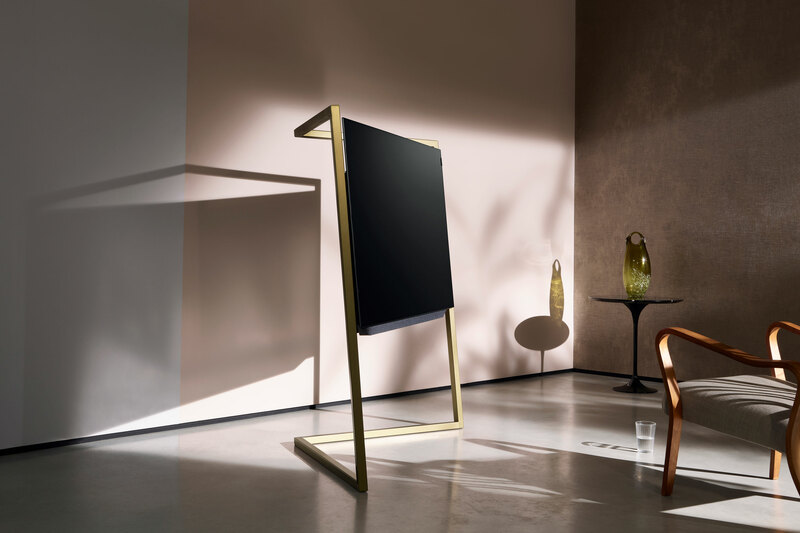 Built and shot over two days in East London, the campaign was the first to exemplify the new direction of Loewe as directed by Bodo. 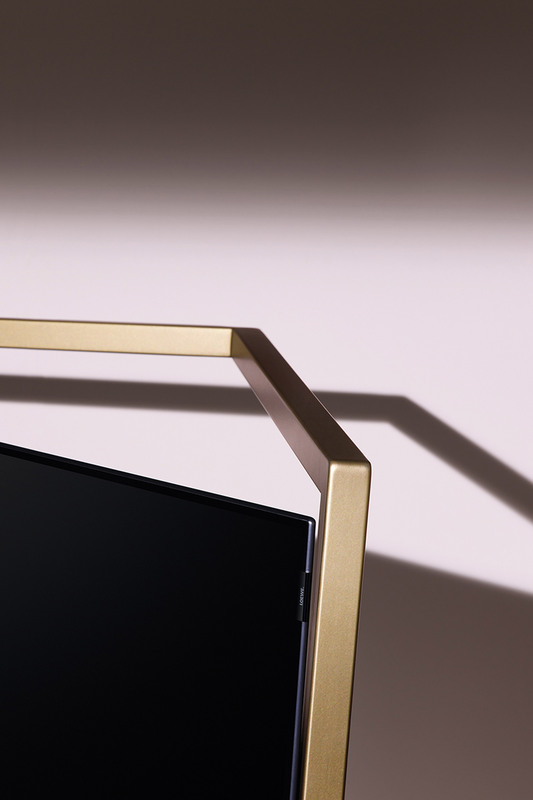 It was a statement of intent, showcasing the changed aesthetic and tone of the brand.